Have you ever found yourself in the situation where the mint in the yard starts taking over the rest of your herbs? Well if you have you will understand my urgency to make something with it! 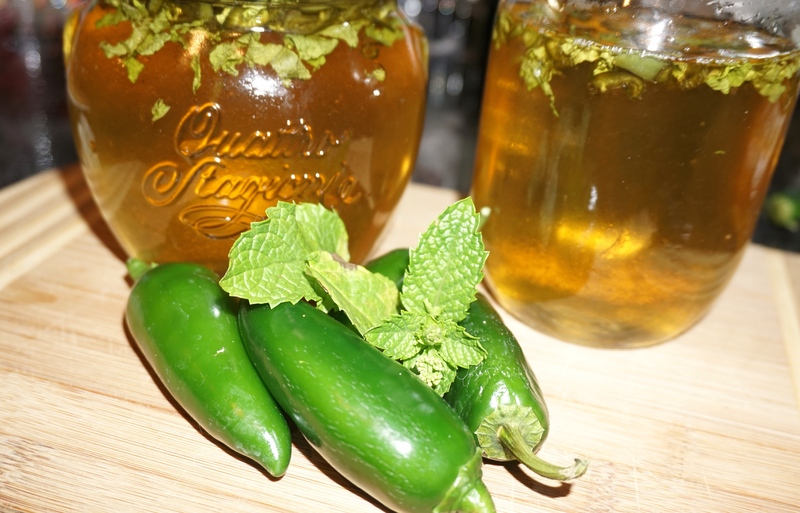 I also happen to have a jalapeño plant that won’t stop producing these lovely spicy treats, so I wisely decided to pair them together and make some Mint Jalapeño Jelly! This is a new recipe I am testing out so you will have to wait for some feedback in the near future when I put the mint jalapeño jelly to good use! 1 (8 ounce) envelope liquid fruit pectin – this I didn’t have in hand so I used unflavored gelatin in its place. 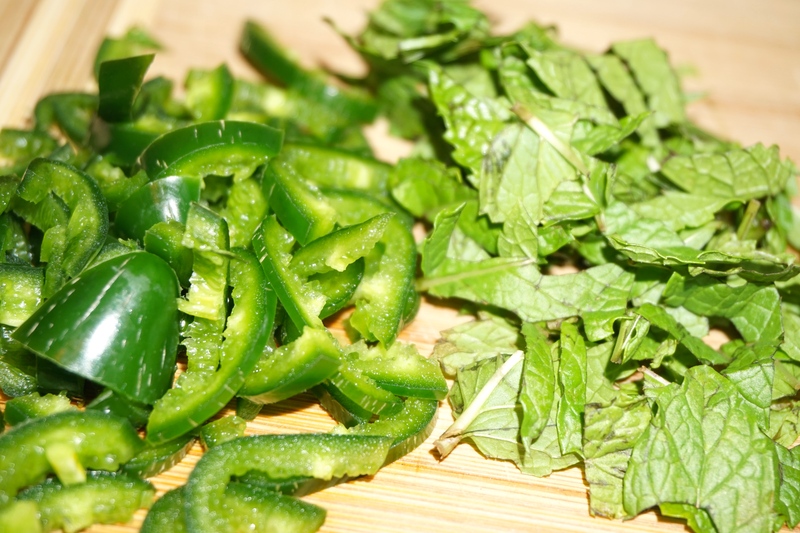 Bring 1 1/2 cups of chopped mint and water to a boil in a small saucepan. 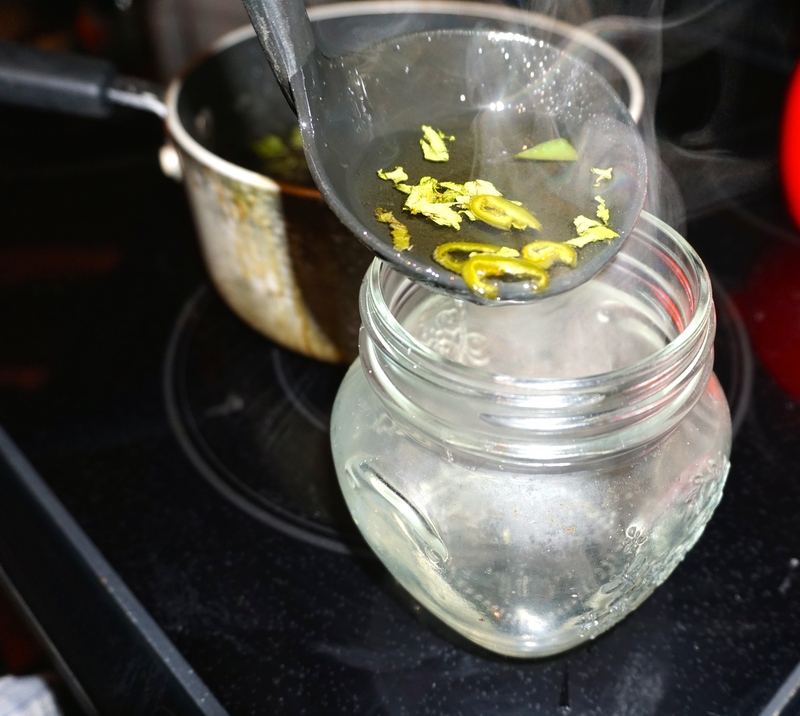 Remove from heat, cover and let it stand for 30 minutes to steep. Strain through a lined sieve pressing with the back of a spoon to extract as much liquid as possible; discard mint. 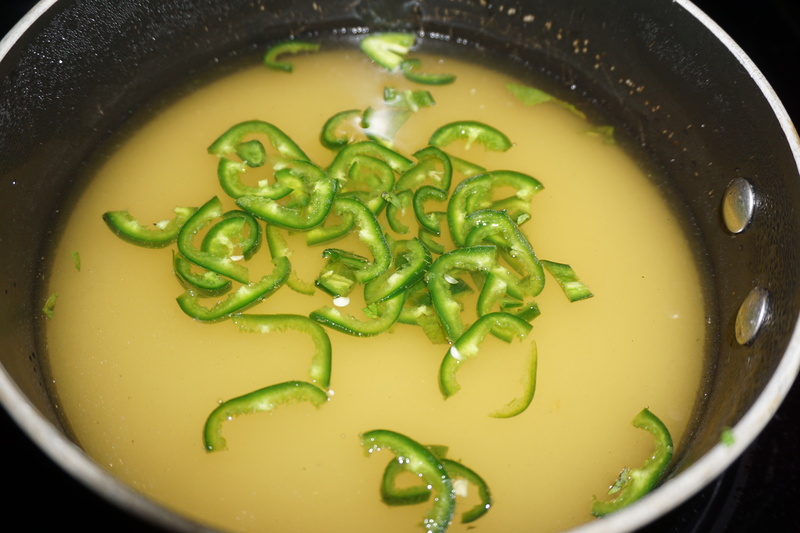 Combine mint liquid, sugar, vinegar, lemon juice and peppers in a large stainless steel saucepan. Bring to a full boil over high heat and boil hard for 2 minutes, stirring constantly. Remove from heat; stir in pectin and remaining finely chopped mint. Put into sterilized containers and enjoy with some lamb or your favorite meat!